It was a night of storytelling and lamb feasting last week at the exclusive, one-night-only Legends and Lamb pop up dinner. 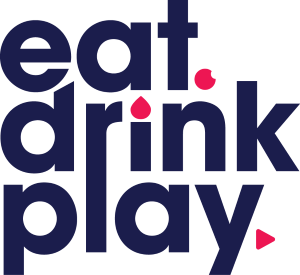 Ten lucky Eat Drink Play readers won a double pass to join fellow foodies for a dinner at the Cell Block Theatre in Darlinghurst. 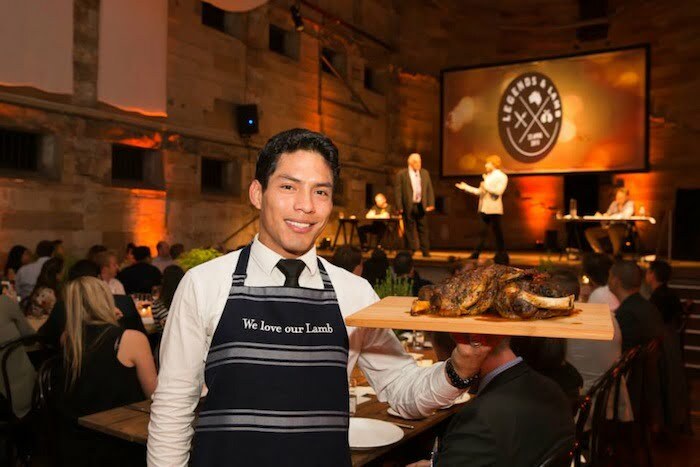 This special lamb dinner was created by Chef Tom Walton from Bondi’s Bucket List and food lover and cook Hayden Quinn. 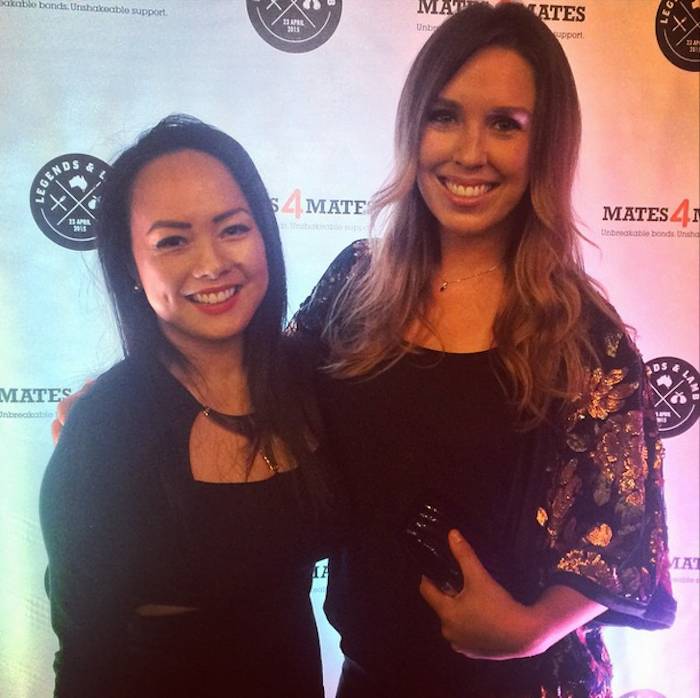 The evening was a fundraising event partnering with Mates 4 Mates, an organisation that supports current and ex-serving Australian Defence Force members who have suffered physical or psychological wounds, injuries or illnesses as a result of their service, either in Australia or overseas. The evening began with canapes in the fairy light lit courtyard before making our way into the theatre. 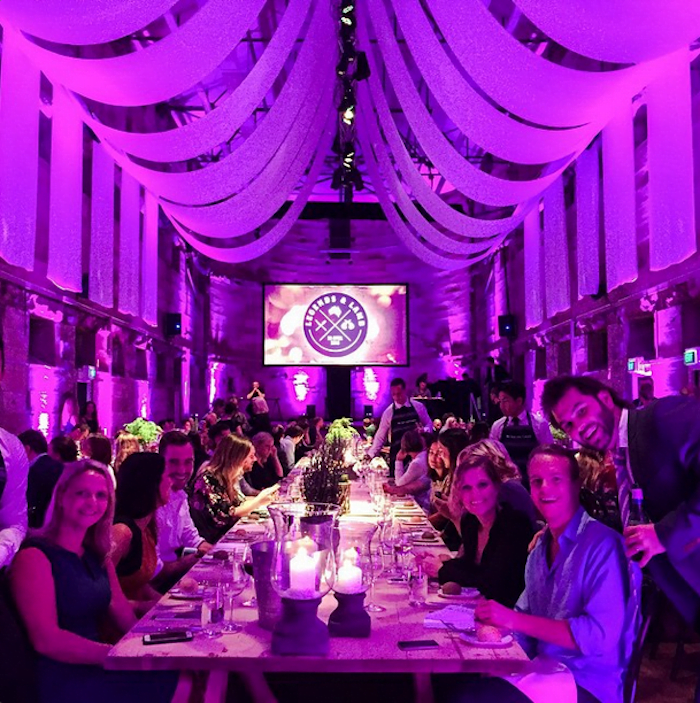 With striking high ceilings adorned with white sails, original sandstone walls and elegant long wooden tables this was the perfect setting for a beautiful evening. 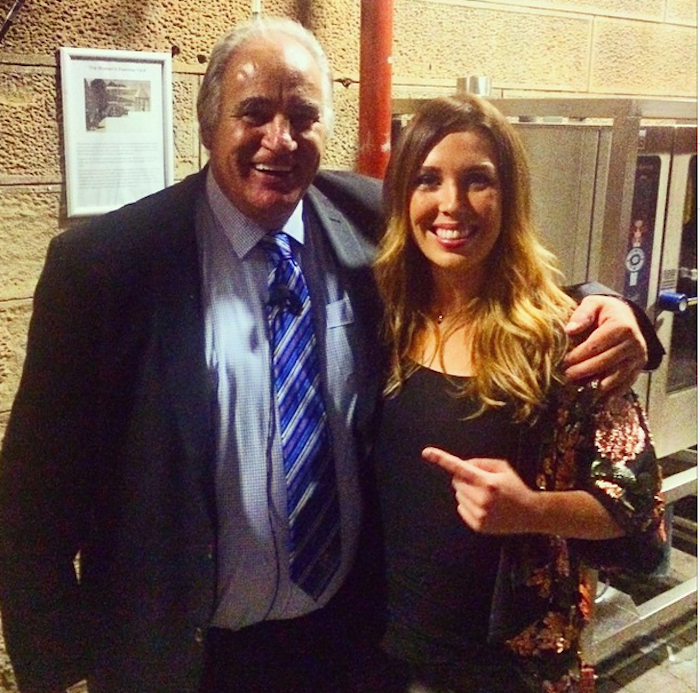 The hilarious, lamb loving, quick witted Sam Kekovich was our host for the evening and made sure there was never a dull moment. 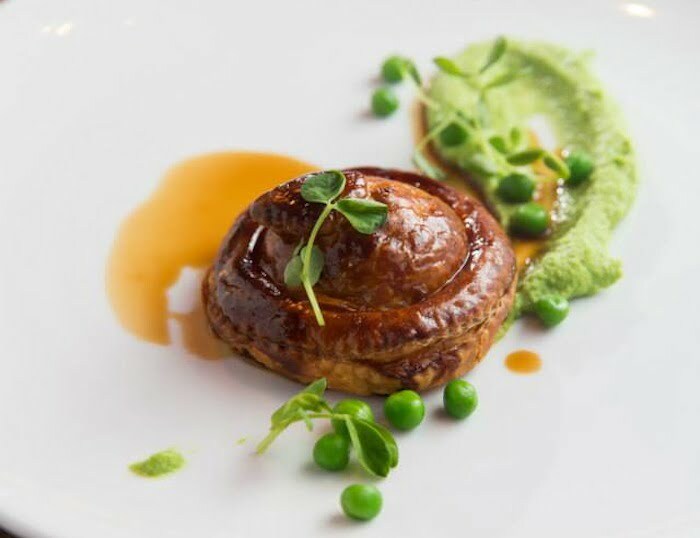 For our first course of the evening a lamb shank pithvier with pea puree and madeira jus was served, curated by Tom Walton. If they served pies like this at the football I’d consider going to more games. In between courses we had three ex-service men and women share some of their stories with us and spoke about mate ship and what it means to them. 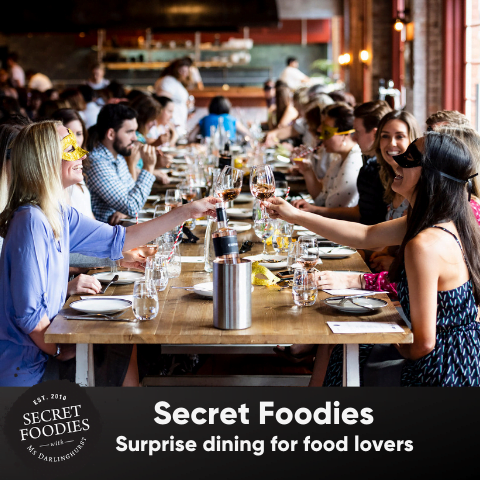 It was a really touching experience and highlighted what dining should be all about – sitting around a table with a group of people sharing a lamb meal and stories. 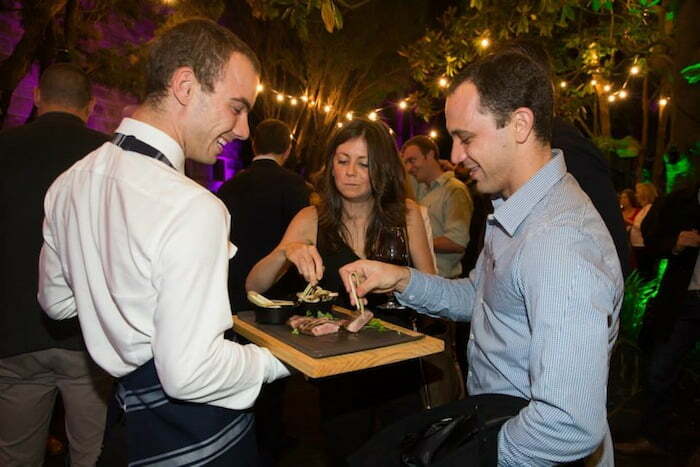 The story telling came to a brief holt when the main course arrived, curated by Hayden Quinn. 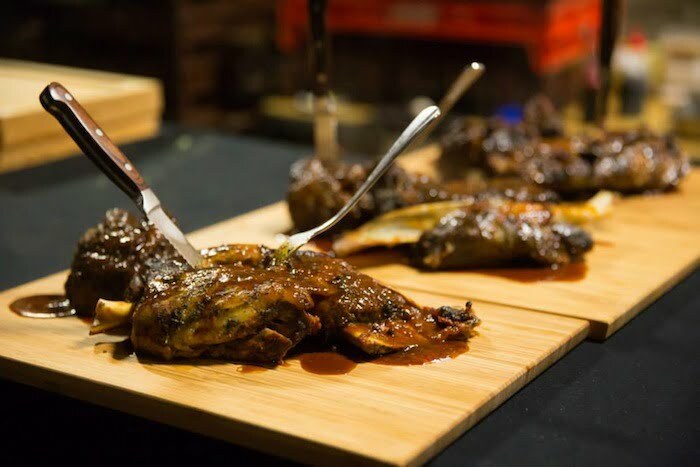 Mouths were salivating a bit too much to talk as large wooden boards holding 9 hour slow roasted lamb shoulder with rosemary and red wine jus were brought t0 the table. Sides of Paris mash, honey glazed baby carrots, baby green beans with beurre noisette and toasted almonds and green leafy salad made the meal complete. At the end of the meal as the dessert canapes began circulating guests were asked to donate what they felt their experience of the evening was worth. All proceeds went directly to Mates 4 Mates. What a great idea! My foodie mate Not Quite Nigella!